[SatNews] EMC Satcom Technologies, a division of Emerging Markets Communications (EMC), has announced that Bank Rakyat Indonesia (BRI) has selected the company to provide a satellite connectivity solution to increase the performance and reliability of its online banking and internal applications—the solution will support BRI’s thousands of locations and automatic teller machines (ATMs) throughout Indonesia. 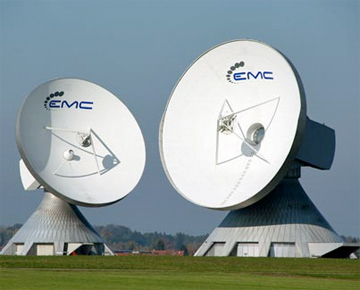 EMC’s solution incorporates its proprietary SatLink® DVB – RCS2 VSAT technology used for high performance and reliable communication services. The EMC SatLink® system is capable of efficiently managing traffic on secure networks, in addition to improving connectivity, by offering Adaptive Coding and Modulation (ACM) on both the forward and return links. ACM functionality on both links delivers higher spectral efficiency, as well as superior rain mitigation techniques, that play a critical role in keeping links available in the hardest geographic locations. Emerging Markets Communications has a significant presence in the Asia-Pacific region with corporate offices and field support centers in Jakarta, Indonesia; Kuala Lumpur, Singapore; Hyderabad, India; Dhaka, Bangladesh; and Almaty, Kazakhstan. The company provides satellite (VSAT) communications services including managed capacity, end-to-end service and on-going support for the remote sites.